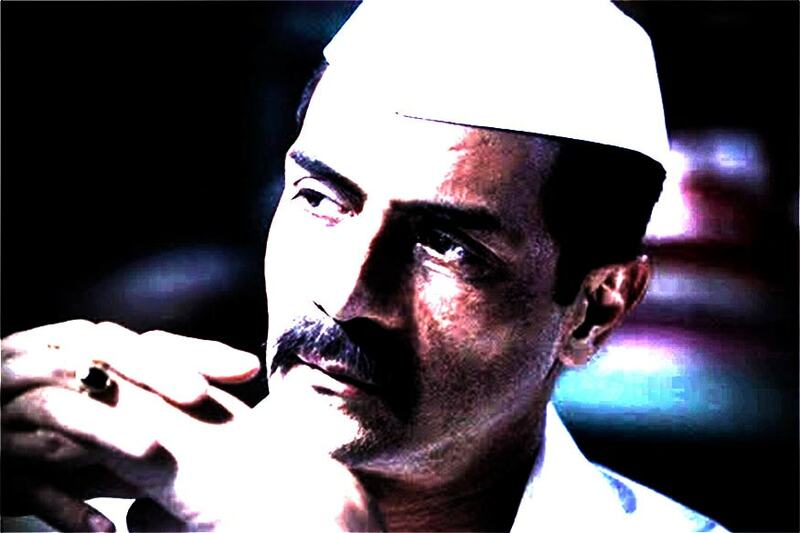 Planning to watch Arjun Rampal's Daddy this weekend? Read our review first. Very early in Daddy, we see gangster-turned-politician Arun Gulab Gawli’s on-screen daughter explaining to him the real reason for people referring to him as Robin Hood. “Matlab jo chor hai par villain nahi…” she says and that in a way sends out the final message and sets the tone of the film. The story is of a Dagdi chawl boy Arun (Arjun Rampal), who at a very young age, indulges in illegal trade practices, extortion, and killings, owing it to circumstances and poverty. What makes him turn into a gangster and then to be known as Daddy, a politician worshipped by people and feared by opponents – is what the film is about. Director Ashim Ahluwalia, known for his award-winning film Miss Lovely, takes the route barely taken in Bollywood. The nonlinear narrative oscillates back and forth in time to develop the story arc and it is only through the investigation of a cop (Nishikant Kamat), who is solely dedicated to bringing Gawli down, that you understand what the ‘real’ stories behind his crimes are. Daddy finds its base on Gawli’s goodness and establishes him as an innocent man with a bad past serving a lifetime imprisonment and not as a dreaded gangster who has a vital role to play in India’s crime history. As the characters share their stories, one learns about facets other than those coloured by gunshots, killings, fist fights personality. He is a god-fearing family man who cares about the well-being of his wife and the welfare of his constituency. He wants to ensure the safety of people regardless of their caste and religion. He’s ready to go extreme miles for his loved ones and while it might appear that he fears nothing, he does fear the loss of his life and worries what people might think of him. While the film aimed to delineate his rise and fall, on its course, the saga ends up poeticizing the man in him. Arjun Rampal is in top form throughout, delivering a controlled performance with his Marathi accent and looks right in place. He holds it back often and one doesn’t mind because it seems fitting for the part. A particular scene where he breaks down behind the bars stands a testimony to his acting skills. Nishikant Kamat, as a no-nonsense cop Vijaykar Nitin, is another gem. The unrest in his mind when he’s failing to devise a full-proof agenda to bring Gawli down is palpable. Aishwarya Rajesh as Gawli’s wife, Asha, does a fine job and delivers what the character demands from her. Anand Ingale as Babu and Rajesh Shringarpure as Rama fit the bill perfectly. But one performance that goes haywire is that of Farhan Akhtar, who essays the role of Maqsood bhai. Now, the character is a significant one as it mirrors Dawood Ibrahim, and while Akhtar could’ve made the most of it, he simply doesn’t justify the part. On the outlines, there’s a lot keep the viewers invested and intrigue them. Because no matter what you’d like to believe, Gawli’s tale was waiting to be told. It has all the elements a gangster-drama should entail, but all of it goes in vain, as the film fails to rise above its flaws. An underdeveloped writing and a faulty screenplay dilute the impact of the impressive performances in the film. In fact, at times one fails to connect the dots as one after the other character is being shot dead. Despite all the shortcomings, the makers do get a few things right. They recreate the retro vibe of 70-80s Bombay with precision. The scenes in which young boys are handed over guns for the first time and the entire landscape of Bombay when the gangs, like those of BRA (Babu, Rama and Arun), were on rise, are the highlights.